Ready to level up the fun this month? Whether you’re looking for educational activities for the kids or bonding ideas to reconnect with everyone in the family, you have a lot to mark on your calendar this April. Here are some events you should not miss out on! Mark your calendar as One Faber Group celebrates Singapore Cable Car’s 45th Anniversary with year-long activities. Key highlights include “Miraculous,” which will be performed nightly featuring Mira and Mirak, a pair of mighty squirrels who live in a heart-shaped Angsana tree at Arbora; “Explorer Passport,” a self-guided exploration activity; and “Singapore Cable Car: 45 Years of Transformation,” where you can experience vintage Singapore Cable Car cabins on special display at Mount Faber Cable Car Station. 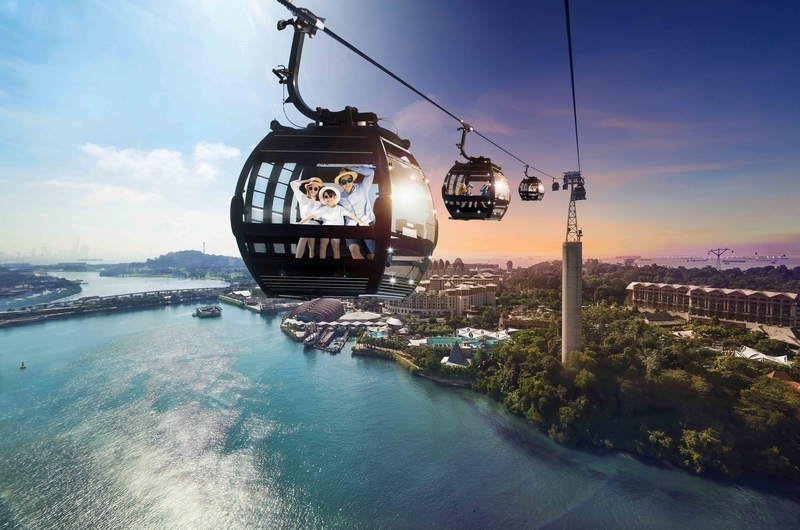 The Singapore Cable Car connects Mount Faber to Sentosa Island and offers guests seamless access to a collection of unique leisure activities from the hilltop to the island. Witness how Jurong Bird Park transforms into one big egg-hibition for the whole month of April. Surprise your child with a sight of supersized Gudetama figurines and a five-metre Gudetama inflatable! 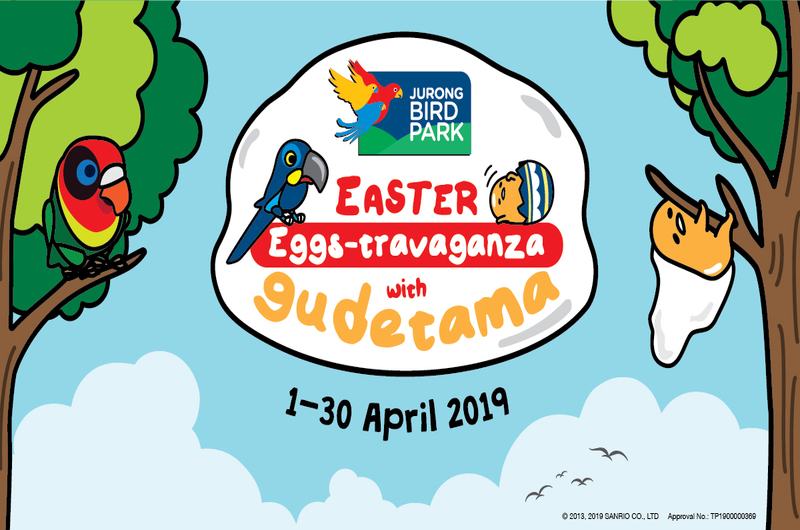 You can also meet and greet with this egg character while enjoying different activities such as egg hunting, exploring the Breeding & Research Centre, participating in Gudetama-themed workshops and craft sessions, and getting up close and personal with various bird species! Take share-worthy photos while strolling around blooming tulip fields as Gardens by the Bay brings “Tulipmania” again, giving spectators a glimpse of the Dutch countryside. You wouldn’t only get to admire over 35 varieties of tulips, you will also get a chance to learn more about its life cycle. If you want to see Netherlands for one day, then this little Dutch village will give you a taste of that. 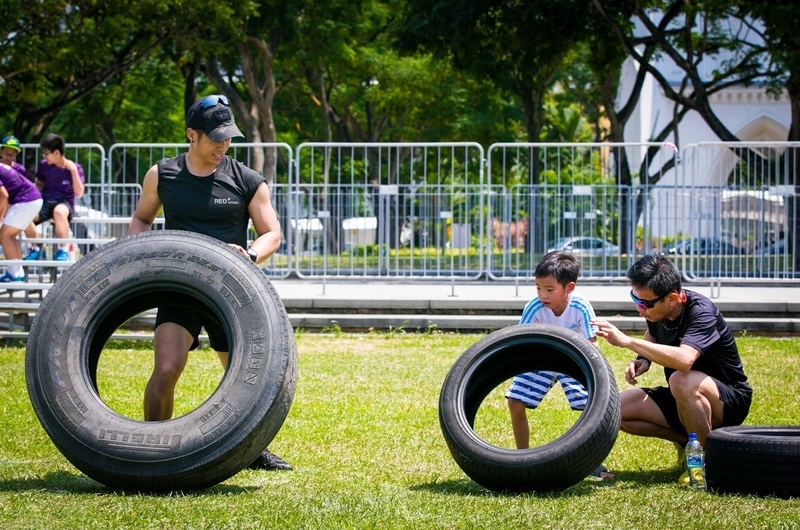 The Singapore Heritage Festival continues this month with a couple more activities to choose from. 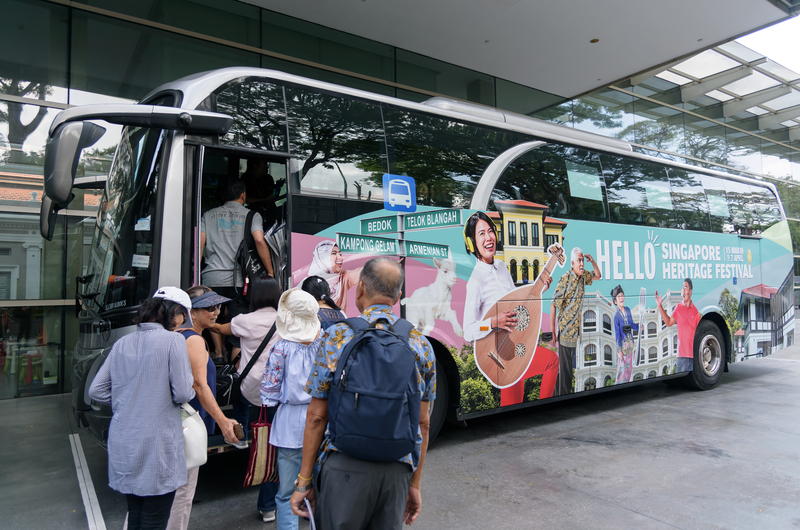 “Buses and Roads: A Bus Theatre Experience” will have its last two runs on 6 and 7 April so climb aboard and journey through the different parts of Singapore’s history. Enjoy your time at “FOODPASS,” a food trail covering at least 15 local farms in and out of Kranji Countryside, which will help you understand the food sources and farms heritage of the country from then until now. “Hay Diaries” is best for those who are interested to learn how to run a Singaporean goat farm—you even get to see a live goat milking session! Last but not the least, those who are fascinated by frogs will love different Jurong Frog Farm sessions from catching a frog to feeding one! Fee: Free admission. Some activities require pre-registration. If your family has a pet, then PetExpo 2019 is a must-attend! 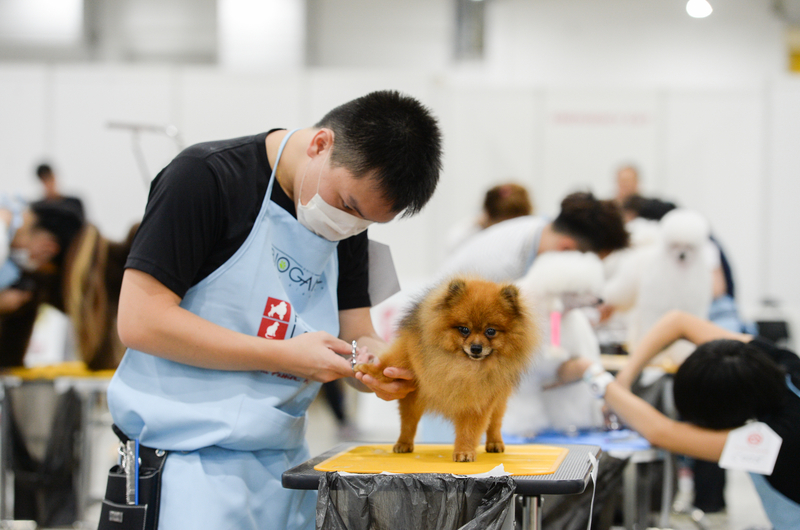 Now on its 6th edition, PetExpo 2019 brings together the best in pet health and wellness, product and brand showcases, and even groomers, making it the largest pet fair in the country. It also features talks, workshops, and forums you’ll need to be the best pet owner there is. If you’re also looking for fashionable and trendy accessories for your fur babies, look no more as this expo has everything and anything you need. Want to know how we can work together to save the planet? 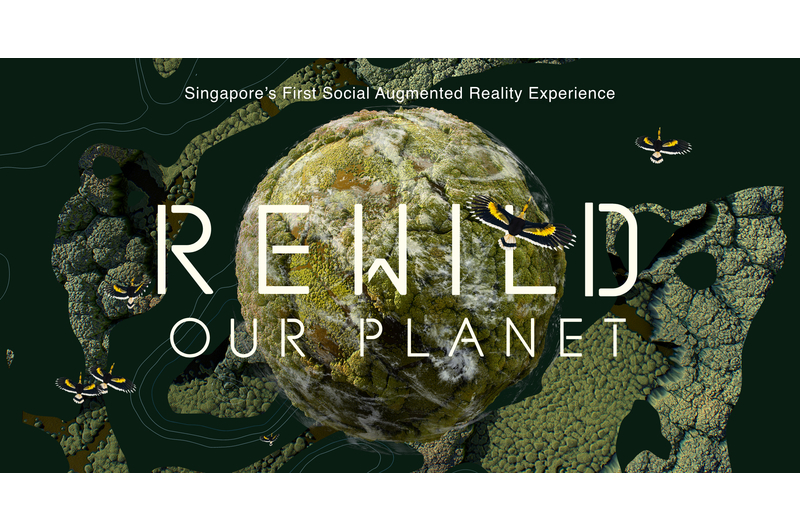 Visit Singapore’s first social augmented reality “Rewild Our Planet,” an immersive and interactive exhibition based on the Netflix original documentary series Our Planet, and dive into the world’s deepest oceans, explore the most remote forests, and experience vast ice caps. 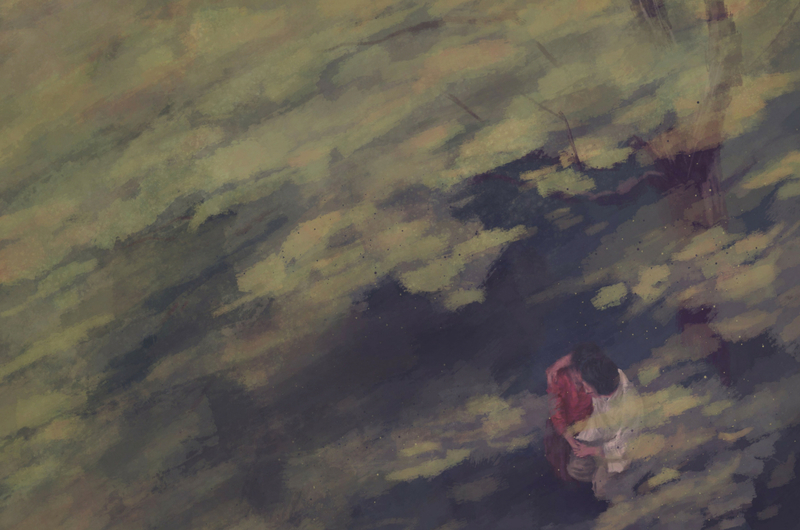 Featuring cutting-edge technology, the exhibition will make you realise how beautiful the world is—and will stir you into action to help protect it from complete destruction. If you want to celebrate Earth Day by educating your child, join Sara and her friend Rana the Frog in learning more about carbon footprint and the many ways you can help save planet Earth. Whether you’re a fan of recycling and reusing items or simply just an advocate of eco-friendly activities, Sara Goes Carbon Footprinting is a must-attend for nature-lovers out there. 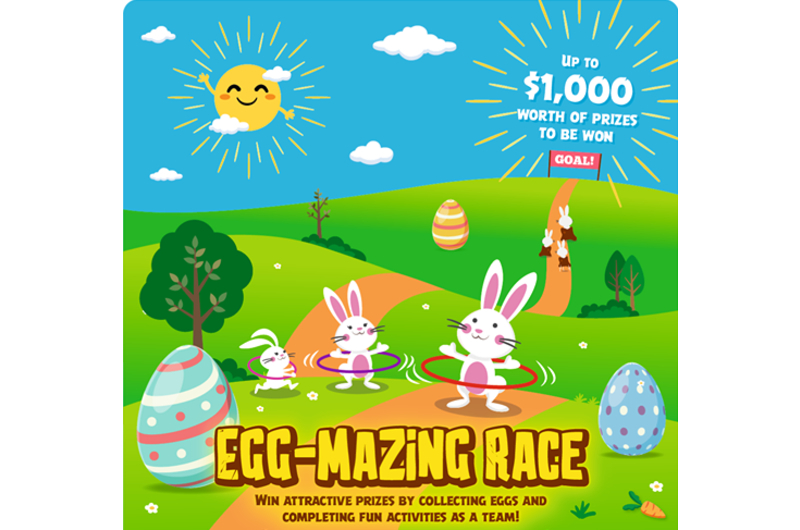 For the perfect Easter celebration, head to SAFRA Jurong and join its first ever egg-mazing race! Featuring various game stations and obstacle courses, you and your family will surely laugh out loud and create new memories while you overcome the challenges. From controlling a car to feeding the “Hungry Bunny” and completing all the eggs, you will not just go home with so much fun but with so many exciting prizes, too. 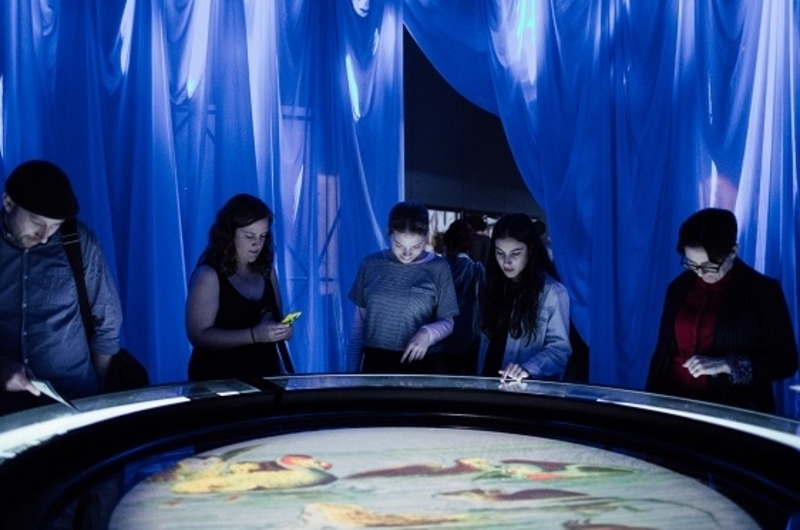 Inspired by Lewis Carroll’s Alice in Wonderland, this interactive exhibition will take you through the whimsical adventures of Alice through popular culture. Featuring theatrical sets, digital interactive activities, bespoke setup, and audiovisual artworks, you will be treated to an experience like no other as you encounter fantastical talking creatures and step into Alice’s imaginary landscape. This installation is the first stop of its global tour and will be held in ArtScience Museum. Alice has been delighting audiences since she was first introduced in 1865. With more than 40 films and over 30 television programmes, Alice has become an icon presented in different media. Get a glimpse of this multi-dimensional and world-class tourist destination as it opens itself up to the world this April. 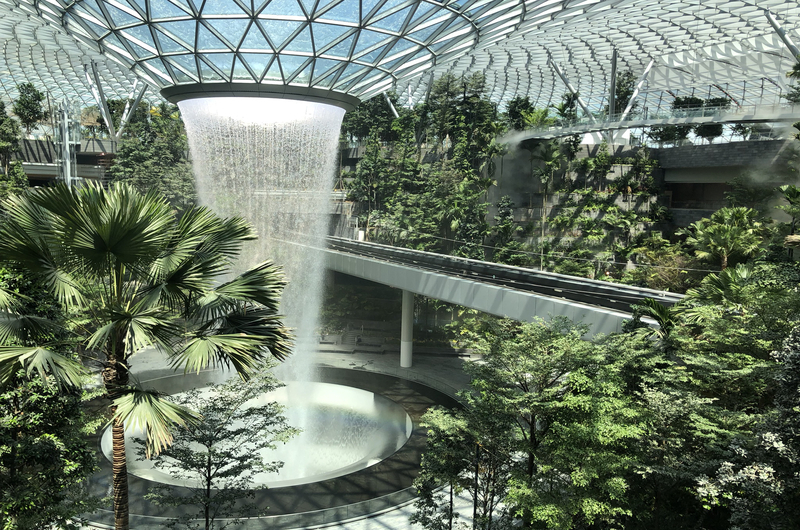 Representing a juxtaposition of a park and marketplace, Jewel Changi features the lush four-storey Forest Valley and the majestic 40-metre Rain Vortex, the world’s tallest indoor waterfall standing in the middle of over 280 retail and shopping stores and dining outlets. If your child is a Pokémon GO fan, now is his chance to hunt for his favourite Pokémons. Not only that, he gets to do it with other fans, making it a truly Pokémon Safari Zone! The coolest thing about it is that Pokémons that do not appear often in some parts of Asia may just show up here. 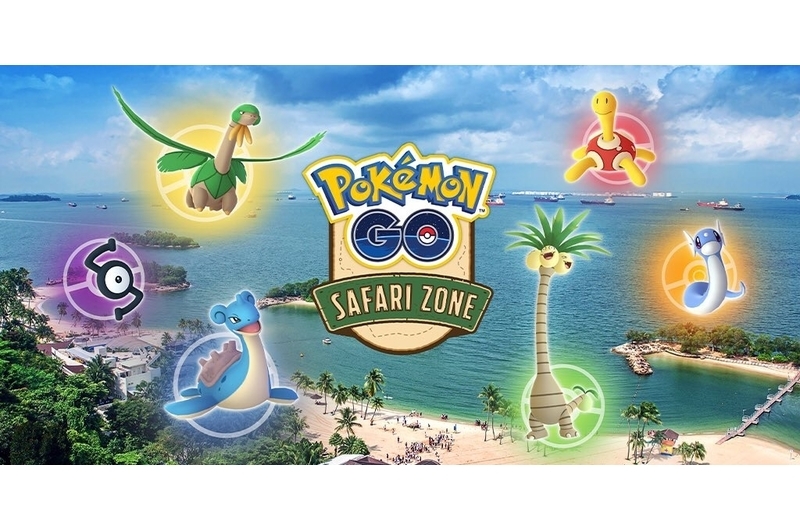 Happening throughout the island, the Safari Zone features multiple Poké stops where participants can stock up on supplies and refuel. In support of The Food Bank’s “Food Wastage Reduction & Fight Hunger” movement, Compass One is holding several green efforts to help reduce food waste. Get your eco-warrior suit on and participate in an array of green-living workshops and donation drives. Compass One also spearheads a food rescue mission and food wastage reduction drive wherein mall tenants will donate their excess food to The Food Bank. Discover five trees, five songs, and five stories in Under the Five Trees, an installation that combines the power of sound, music, landscape design, and poetry. With just your headphones on and a QR code provided to you, you will be transported to a place perfect for lovers and loners. As part of “Light to Night Festival 2019: Traces and Echoes,” the installation is great way to bring your curiosity and creativity together. Take your kid out for some playtime as Hotel Jen introduces its very own kid’s play area at its all-day dining restaurant, [email protected] The kid’s play area takes the little ones to a whole new level of fun and excitement right in the heart of Orchard Road while parents feast on the hotel’s Weekend Brunch or High Tea Buffet. 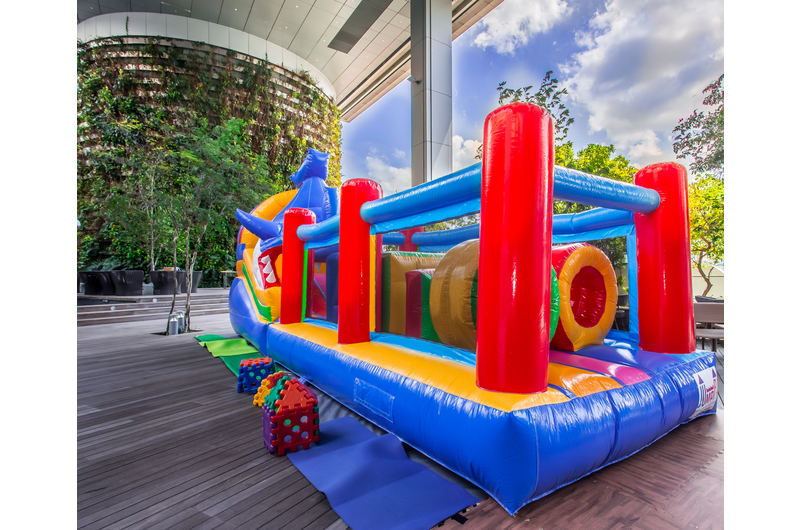 This new space for the kids feature activities like Bouncy Castle, Sand Art, Colouring Corner, and Jumbo Puzzle, with new game stations every week that your little one will surely look forward to. Brace Yourself for The Great LEGO Race! Say Hello to SG50 Baby Giraffe, Jubilee!